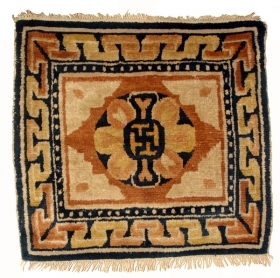 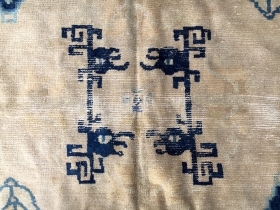 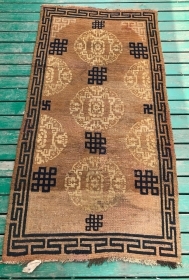 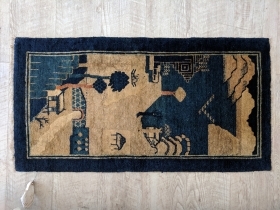 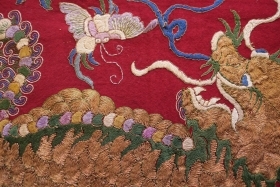 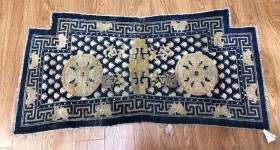 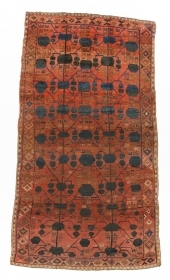 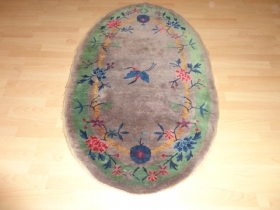 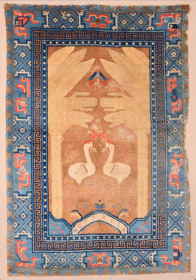 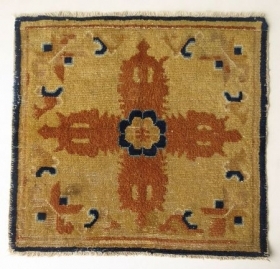 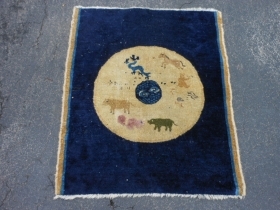 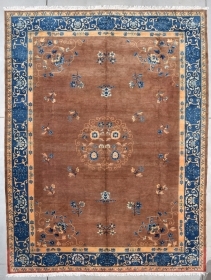 Antique Tibetan rug, 139*72cm. 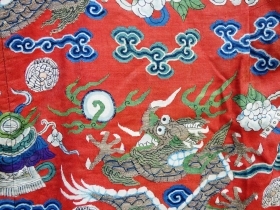 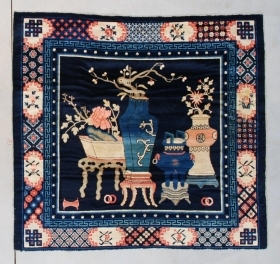 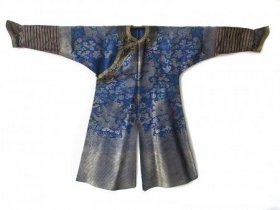 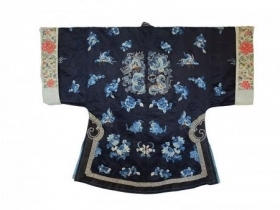 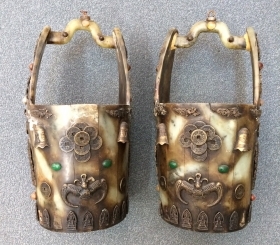 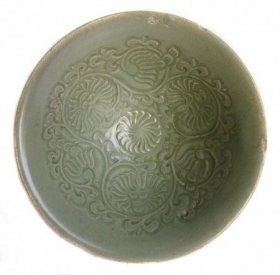 Chinese eight treasures of Buddha pattern. 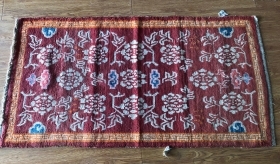 without any repair. 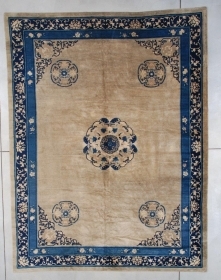 Tibetan rug, 150*80cm, handmade , beautiful plant color dyeing, Chinese peonies and auspicious cloud patterns all over the ground. 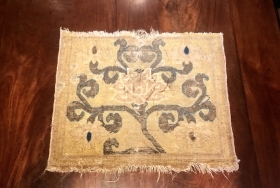 without any repair. 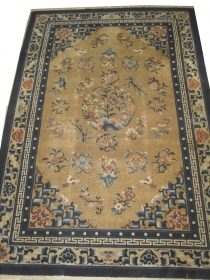 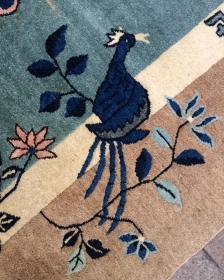 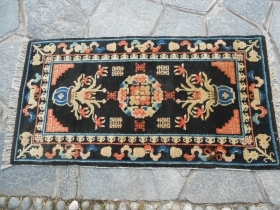 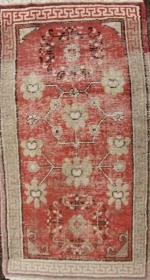 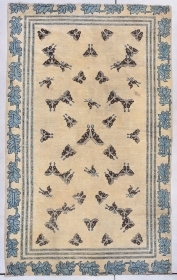 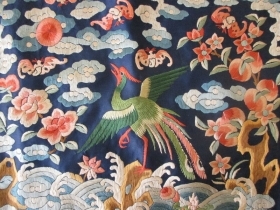 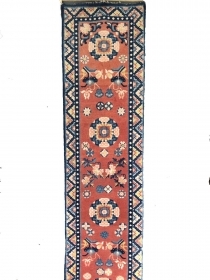 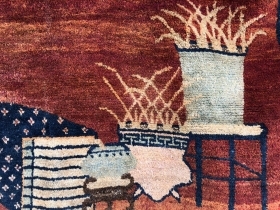 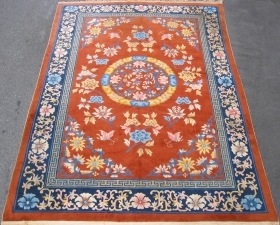 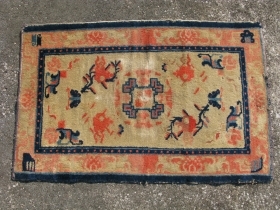 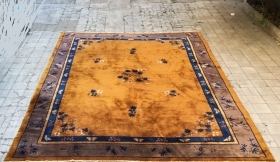 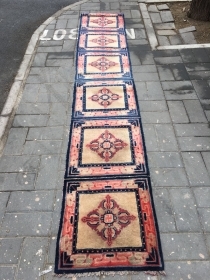 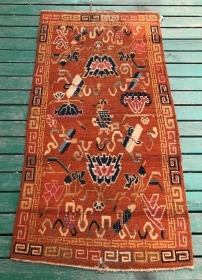 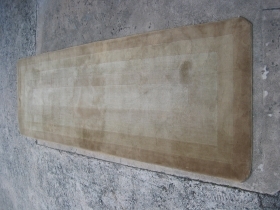 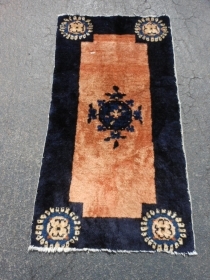 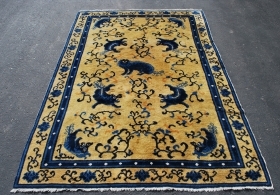 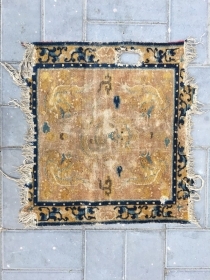 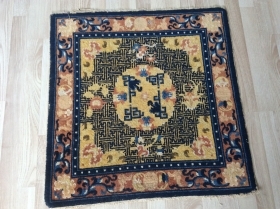 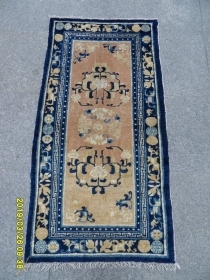 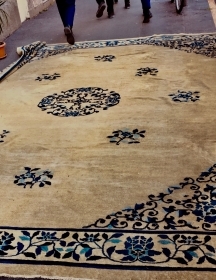 Chinese Ningxia rug, 160*72cm. 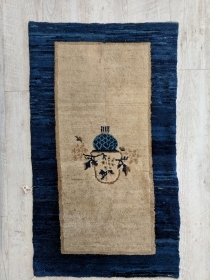 about 200years old. 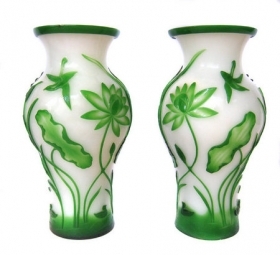 full of bright and beautiful money coin veins. 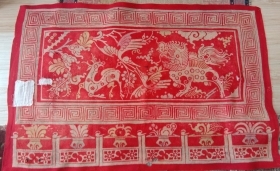 Chinese old, size: 200 x 300cm Certain places the pile is used. 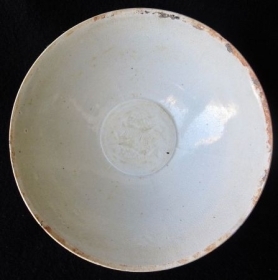 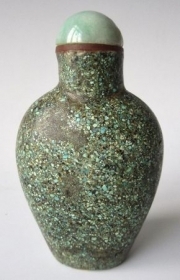 Ming Dynasty Chinese water bucket. 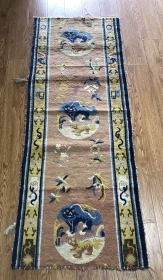 Nice antique Ningxia Chinese rug with excellent wool and dyes. 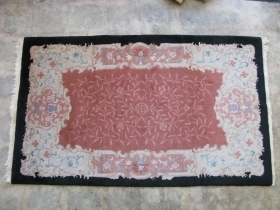 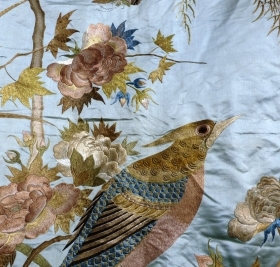 Size: (130x70 cm). 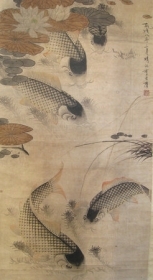 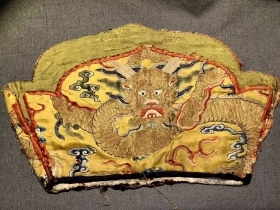 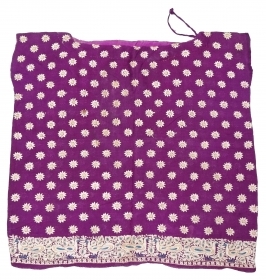 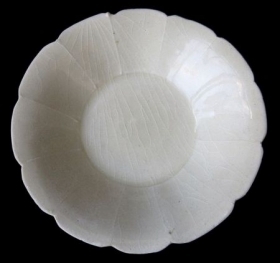 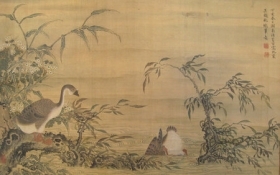 Ming Lotus seating square, 15th Century 84cms x 70cms.